2 styles depending on the board you're mounting to. For use with factory-built splitboards only. Pick up an extra set to use your Phantom bindings on multiple boards in your quiver. For use with solid boards with a 4x4cm bolt pattern, DIY splitboards with a cut less than 1/8" wide, and factory-built splitboards. 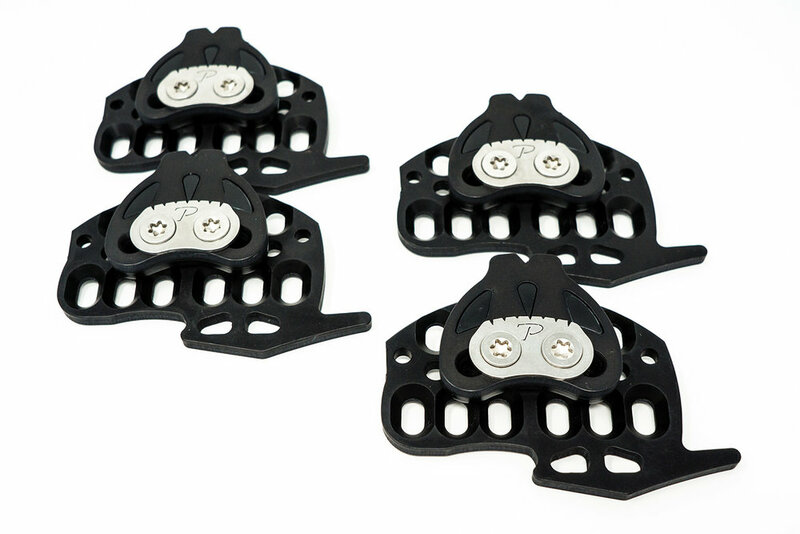 Add these cleats to your order to make your solid board Phantom-compatible. Or check out our fixed angle Solo Cleats for even greater weight savings. Patented binding interface provides a solid board feel. Bindings easily rotate onto cleats and lock into position. 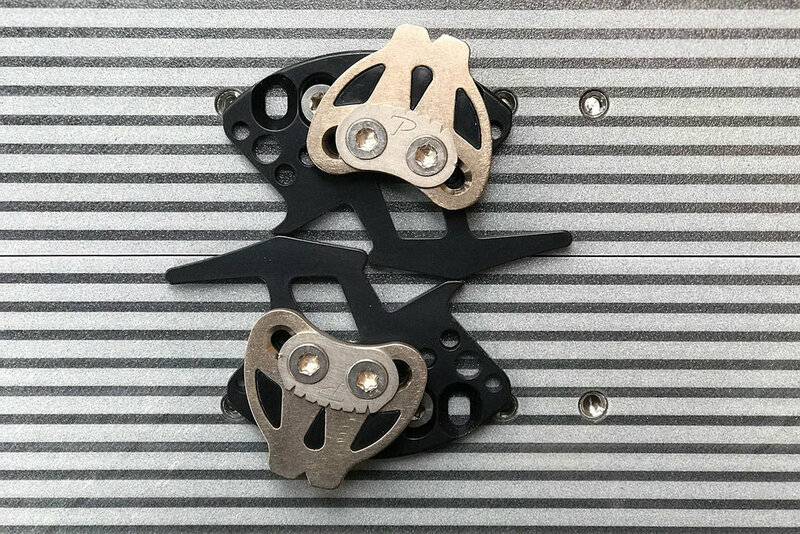 We offer 2 styles of adjustable board cleats - Split and 3-In-One - to fit whatever board you will be mounting to. See above for additional details to help choose between styles. Both styles offer adjustable stance angles of +30 to -30 degrees and adjustable stance widths in 1/2" increments. NOTE that the images showing the Black/Silver color combination are from last year. Updated images coming soon! SPLIT CLEATS IN STOCK! 3-IN-ONE CLEATS SOLD OUT.